There is something special about home-baked cakes. It’s not just that they are really delicious, nor even that they are delightfully different from those you can buy. Homemade cakes and slices turn any occasion into a special one, whether served with morning coffee, or an old-fashioned afternoon tea party, or as a luxurious dessert at the end of a celebratory meal. Honey Spice Pumpkin Bars with Cream cheese Icing make great after-school snacks and any-time-of-day nibbles. Preheat an oven to 350°F. Line a 9-by-13-inch baking dish with aluminum foil and lightly grease the foil with butter. Place the butter, sugar, honey, and water into a heavy-bottom pan. Set over low heat and stir until the butter has melted and the sugar has dissolved. Remove from the heat and let cool for 10 minutes. Sift the flour into a bowl and mix in the ginger, cinnamon, and cardamom. Add the honey mixture, cooked pumpkin, and eggs and beat until smooth. Pour the batter into the prepared pan and bake in the preheated oven for 30-35 minutes, or until a skewer inserted into the center comes out clean. Let cool in the pan for about 5 minutes, then transfer to a wire to cool completely. 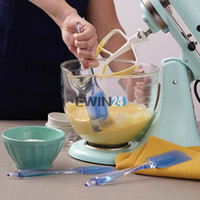 Meanwhile, make the cream cheese icing: In the bowl of an electric mixer fitted with the flat beater, beat the cream cheese, butter and vanilla on medium-high speed until smooth, light and fluffy, about 2 minutes. Gradually beat in the confectioners’ sugar until thoroughly combined. If the frosting is too soft, refrigerate it until it is spreadable, about 15 minutes. Spread the icing over the cake then dust lightly with cinnamon. Cut into squares and serve. Those look and sound soooo good! I absolutely love your photography as well. Thanks for sharing! Honey really makes a difference. I like using it for baking.